[GADGET DEALS] Printers anyone? Printers as a product has matured so much over the years that manufacturers just ran out of ways to say “Dear consumer, it’s about time you change your printer!”. Hang on, did they really run OUT of ways? 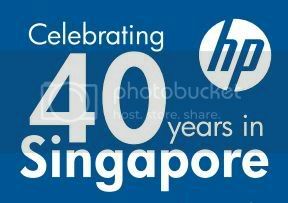 A glance at HP COMEX’s flyer will answer this question. A whopping over 20 models of printers with the differences down to details. Need wireless printing? Choose from Wi-Fi or Bluetooth. High printing volume? Choose from AIO or Laserjet. To make thing more interesting, HP priced its wide selection of printer very closely. The thought of choosing a printer from this pack is simply haunting. But well, consumers prefer to have choices right? Then again, it’s not tough right? At the end of the day, what I want is just a printer with cheap printing cost and good printing quality. Hit the link below to get bewilder by HP’s selection of printers. Thanks Ranjeet for sending in the information. Blackberry Torch 9800: It is good enough lah! Apple iPods 2010: What is the game plan? Apple iPad Review: The Gadget of the Year?